The dangers, intrigue and violence of medieval and early modern warfare and statecraft will be the focus of the twelfth annual Marco Symposium at UT from April 9 to 11. The symposium, “‘Cry Havoc!’ War, Diplomacy, and Conspiracy in the Middle Ages and Renaissance,” will feature scholars from various disciplines and will explore these issues and assess their relevance to contemporary times. The Marco Institute will hold the symposium in conjunction with the UT Center for the Study of War and Society. All lectures are free and open to the public. Ted Gup, professor of journalism at Emerson College, will deliver the keynote lecture entitled “The C.I.A. and Intelligence-Gathering Post-9/11: Transformations and Consequences” at 6:00 p.m. on Thursday, April 9, in the Lindsay Young Auditorium of UT John C. Hodges Library. Gup, a Pulitzer Prize finalist for his work on the Central Intelligence Agency, is a former reporter for the Washington Post and Time magazine, a grant recipient of the MacArthur Foundation and a Guggenheim fellow, and the author of two trade books on intelligence operations in the United States. The symposium will consider conflict, threat, and contact from the Crusades through the Hundred Years War to the Thirty Years. It also will explore strategies of terror and piracy as well as technologies of surveillance and intelligence gathering. “The past is always relevant to the present, but the later Medieval and Renaissance periods’ toxic cocktail of religious violence, raison d’etat, and espionage is especially so, since we live in an age awash in the same drink,” said Thomas E. Burman, Riggsby Director of the Marco Institute. Symposium sessions will be held at the International House Great Room, 1623 Melrose Ave. They will be led by scholars who will speak on various topics, including the diplomatic technologies of the Middle Ages and Renaissance and the reshaping of the role of the spy and the ambassador to accommodate new global realities. For more information on the symposium and to see a full list of speakers, visit the website. A new Renaissance fair opened Friday between Kilgore and Longview, with members of the community and vendors dedicating the site. "They are just right outside of the city; so, they did connect with us to see how we could assist him in marketing," said Cindy Morris of the Longview Chamber of Commerce, which organized a ribbon-cutting ceremony Friday at Avalon Faire off FM 1252. Morris said it was an easy decision because of the potential economic impact. "Our hotels are working with us by having available rooms for their people," she said. "The same thing with RV parks." 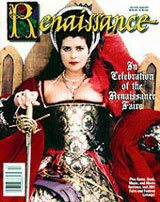 Avalon Faire is a medieval, Renaissance fair that will be held each weekend, beginning today and continuing through April 26. It will be open 10 a.m. to 7 p.m. Saturdays and 10 a.m. to 6 p.m. Sundays. Featuring vendors, concessions and artisans from around the world, Avalon Faire includes full-contact jousting by National Geographic's Knights of Mayhem, bird of prey and falconry demonstrations by Knightwings as well as a variety of magicians, musicians and jugglers. "I want to say how exciting it is to have something like this in Kilgore," said Mayor Ronnie Spradlin, before two men in full metal armor demonstrated the joust. "To see all of you in costume — it is just fun without the event even started yet." The festival grounds are at 1076 FM 1252, just north of Interstate 20 off Texas 42. Admission prices are $12 for adults, $6 for children 4 to 12, and free for children younger than 4. Spain said Tuesday it had unearthed the apparent remains of a literary giant, "Don Quixote" author Miguel de Cervantes, in a Madrid convent almost 400 years after his death. Researchers said they were "convinced" that among crumbling remains in a crypt they had found Cervantes, hailed by academics as the father of the modern novel. Forensic anthropologist Francisco Etxeberria said that after a year-long search his team had positively identified "some fragments" of the author who died in April 1616, the same month as William Shakespeare. Don Quixote -- the delusional country gentleman who sets out to right wrongs as a self-styled knight -- had a far-reaching impact on world literature, academics say. Though there is no genetic proof of the find at this stage, Etxeberria's team of anthropologists and archaeologists said they were confident of the claim on the basis of documentary research. They based their findings on fragments found underground in the crypt of a church in the Convent of the Barefoot Trinitarians in central Madrid, Etxeberria said. Archeologist Almudena Garcia-Rubio said there was "no confirmed genetic identification" of the human remains. But Etxeberria said: "We are convinced that we have among these fragments something of Cervantes." Cervantes is recorded as having been buried at the convent's chapel a day after his recorded death on April 22, 1616, but the exact whereabouts of his grave were unknown. Etxeberria's team launched in April 2014 the first significant search for the remains of the greatest writer of the Spanish Golden Age. They used infrared cameras, 3D scanners and ground-penetrating radar to identify spots where remains could be stored. His influence has been so great that Spanish is often referred to as "the language of Cervantes". But his impact went beyond Spanish, particularly in the development of the novel as an art form. The proverbial phrase "tilting at windmills" -- a well-meaning, misguided bid to vanquish imaginary enemies -- also originated from Don Quixote's adventures. Cervantes spent his last years in a Madrid neighbourhood now called the Literary District in memory of him and his 17th century rivals Lope de Vega, Francis de Quevedo and Luis de Gongora. "This a very important day for Spain and for our culture," said the mayor of Madrid, Ana Botella. Culture Minister Jose Ignacio Wert hailed the discovery, saying its announcement coincided with celebrations planned this year for the fourth centenary of the publication of the second volume of Don Quixote. "From a purely literary point of view, this will not change much," said Jean Canavaggio, a biographer of Cervantes at the University of Paris-Nanterre, of Tuesday's announcement. "But there will be crowds of tourists flocking to the Trinitarians convent. That will be a source of revenue for Madrid." Cervantes had an "absolutely fascinating life," Canavaggio said. Born into a modest family, Cervantes served in the navy and worked in the Church and in finance before his writing career took off. He lost the use of his left hand after he was shot at sea in the 1571 Battle of Lepanto, in which the Holy League led by Spain defeated the Ottoman fleet. He later spent several years as a prisoner after being captured by pirates. Researchers had hoped his injured hand might help them identify his body -- but the piles of bones they found under the convent floor were too poorly preserved.